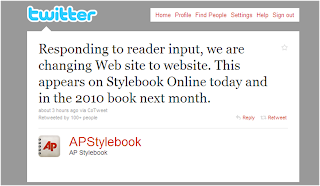 Here's another reason why you should follow the AP Stylebook on Twitter: Big news like this style change, from Web site to website. Some of us will be checking this one off our wish lists today...so do update your style (if you haven't, like me, been using this for years already). 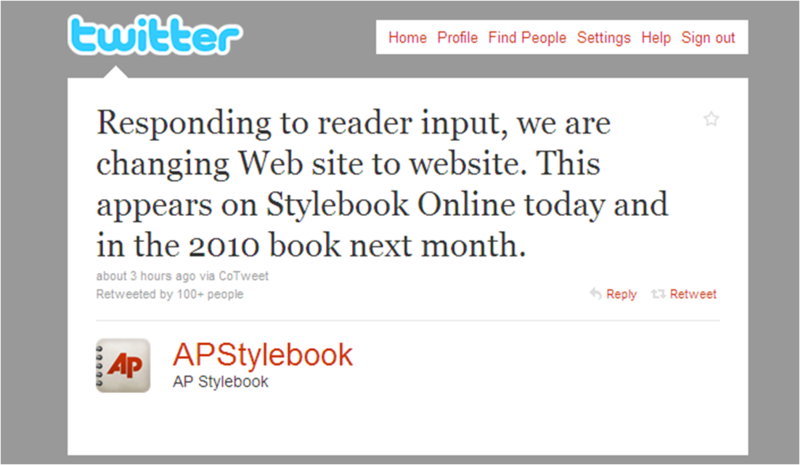 It's a good reminder to send your input to the stylebook, and Twitter's a great forum for doing so.